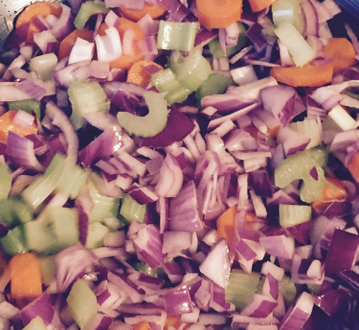 Beef & chicken casserole #tasty #low carb - Gym Chat - All things gym or training related. Fry off beef and sausages in a pan and remove to one side in a dish. For 5mins fry carrots, celery, onion and garlic. Add thyme,bay leaf and rosemary with 30ml of water and simmer for 5mins. Then add tinned tomatoes bringing to the boil. Simmer for 30mins until beef is soft. Finally with ten minutes to go add the mushrooms, parsley and oregano.